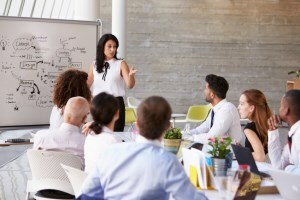 A new study has found that women elected to the corporate board bring skills that have previously been underrepresented in a male-only boardroom. According to Daehyun Kim, assistant professor of accounting at the University of Toronto, told The Wall Street Journal that he “reached his conclusions after reviewing proxy statements filed with the Securities and Exchange Commission that detailed the skills, qualifications and expertise of incoming directors”. He found women were more likely to possess skills in four – HR, risk management, sustainability, and politics and government – the six areas mentioned and that they “are a boon to corporate governance”. While Kim’s study focused more on small enterprises, he said that this trend can also be seen in many boardrooms of multinational companies. He further adds that companies should not put a quota on the number of women in the boardroom, but, rather, actively use the research to measure the impact they have on the company’s bottom line. “The quality of group decision-making is enhanced with diverse opinions,” he said.